Cold calling is always a challenge. If you’re in a role that requires you to spend all of your time doing cold outreach, it will mentally drain you. You may find yourself thinking that you can’t deal with even one more rejection. 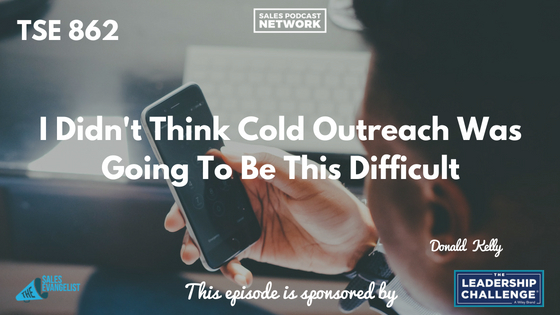 Many people discover they never knew cold outreach would be so hard. Today on The Sales Evangelist, we’re addressing the challenges of cold outreach, and offering strategies to make it easier; ideas to help you be more efficient and effective. These ideas are targeted toward people whose focus is cold outreach. This is a numbers game. Realize that the more people you gain access to, the more likely you are to hit your goals. Working as a team can make an already tough job a little easier. It can help you all learn, grow, and strengthen each other. When you do your work near other people, you get a chance to bounce ideas off of each other. If you hear one of your teammates use a line that seems to be working, you can try using it yourself. You can also set team goals: If we hit a certain number of applications, we can have a small celebration. Maybe your team leader buys lunch or gives out a Starbucks gift card. The team environment will become more focused because everyone is working toward the same goal. Talk about the challenges you’re having during team breaks. When you recognize that something you’re doing isn’t working, ask the other members of your team for feedback so you can tweak your script and try new things. Have team members share TED Talks or podcasts or other sources of encouragement during your breaks. Ask one team member to share something that motivates him. Look for ways to help your team have wins. As your team hits its goals, the whole team will get a morale boost. 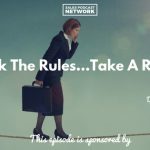 In an environment where people are being hammered with rejections, look for ways to pick them up. Set up a series of sprints for yourself or your team. After you finish 45 minutes worth of calls, allow yourself a 15-minute break to regroup and refresh. I used to walk around the lake with a coworker when I needed a change of scenery, and we’d discuss ideas while we walked. Measure your performance as an individual (and also as a team). Are you consistently better at accepting rejection? Better than you were last week? I like to write out responses to objections so I’ll have them available when I need them. If I measure what I’m doing, I’ll be able to identify which ones work and which ones don’t. If you’re able to break up the monotony by changing up your cadence, try that. 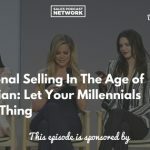 After a block of cold calling, spend a block of time on social selling or email contact. You may not have that option in your role, but if you do, use every tool in your arsenal to reach people and hit your targets.